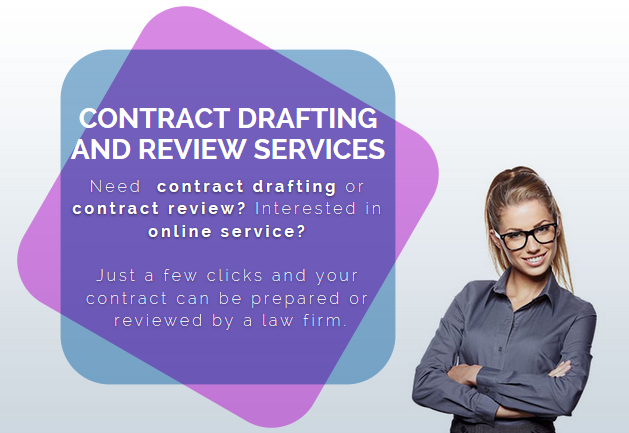 Are you interested in the online contract preparation or review? There is nothing easier than just to use our on-demand system. Just choose whether you are an individual or a company. Next, choose what service you requesting from us to do for you and write request with all your wishes and requirements in the window named „Demand Description“. If you have an attachment, upload it by using the „Document Upload“ button. We will evaluate your request and contact you shortly. In this section we offer preparation or revision of the special types of contracts. Because of our long experience in these areas and also our experience with international transactions, we gained all the necessary knowledge and skills for its development. NDA or confidentiality contract is a means of protecting confidential information and trade secrets. Nowadays, it is very common and necessary to protect your idea, business processes, client lists, etc. For this purpose, we will draw a NDA, a contract about protection of confidential information and trade secrets, even with subjects located in different states. You are starting a business on the Internet, you are running e-shop or you have an idea you want to transfer into real life via the web or mobile application. In this area, we will provide not just professional legal advice and drafting of the necessary contracts with web developers or web providers, but also essential practical advices and tips. In case of interest we can prepare and understandable business conditions, which will comply with all your and business needs. Outsourcing is our specialty. We will create high quality local and international outsourcing contract for outsourcing business processes or IT support and solutions. We provide solutions that combine legal and practical side of the matter. Our contracts thought of everything, from the necessary legal provision, protection, processing and transfer of personal data to control of attachments, deadlines and appointments, change process design and troubleshooting. We think of everything so we will become an essential part of your business and the project team. During the transfer of personal data to third countries, which occurs mainly in outsourcing or web projects, it is always necessary to pay increased attention to this matter. Use our services and keep your data under the control and in accordance with local and EU legislation. We also provide services related to creation and revision of local contracts for the processing and protection of personal data. Business process outsourcing (in short BPO) is a sector of outsourcing, where you transfer responsibility for some part of your business to an external company. This is a specific business function or business processes. We know these processes from both sides, and our goal is to prepare such a contract, where you achieve your business goals and allow peaceful and long-term cooperation with the chosen outsourcing partner. Transfer of IT processes to another company to streamline own processes or costs are already commonly used method by corporations to optimize their IT costs. Outsourcing contracts are often signed for long time periods. Therefore, it is important to have prepared perfect contract, which does not leave anything to chance. We will be pleased to prepare such contracts for you. Are you setting up a foreign branch, or for example, are dealing with businesses from other states? We will prepare high quality and functional international contracts. We offer you a consultation, inspection, and development of international contracts. We'll take care of legal aspects in cross-border transactions and eventually connect you with experienced legal adviser another country. We provide legal services for a convenient international business. One of the areas of our service is also contract management, i.e. effective administration and management of the contracts. These services save you time and help your business grow. How you we can help you and what it means Contract management in practice? Implementation of processes for contract management, especially in phase after its signature, or in its negotiation phase, will not only allow its efficient administration, but in particular, ensure, that these contracts are really progressed under its terms, monitor and perform the rights and obligations of parties and their respective commitments and applied the change process, if necessary. Effective Contract Management in your company can help you achieve business goals to your business, which is its primary reason. We provide professional online consultation in the field of Contract Management. We will advise you on how to improve the work with the future and already signed contracts, and help you with the change process. Contact us by phone, e-mail or contact form. With our long-term experience with contract management solutions, we are sure, we will find a solution tailored for you.